South Africa will host the Jobs Summit on 4 and 5 October 2018 as announced by President Cyril Ramaphosa in his 2018 State of the Nation Address. The president highlighted that jobs, especially for the youth, will be at the centre of the 2018 national agenda. 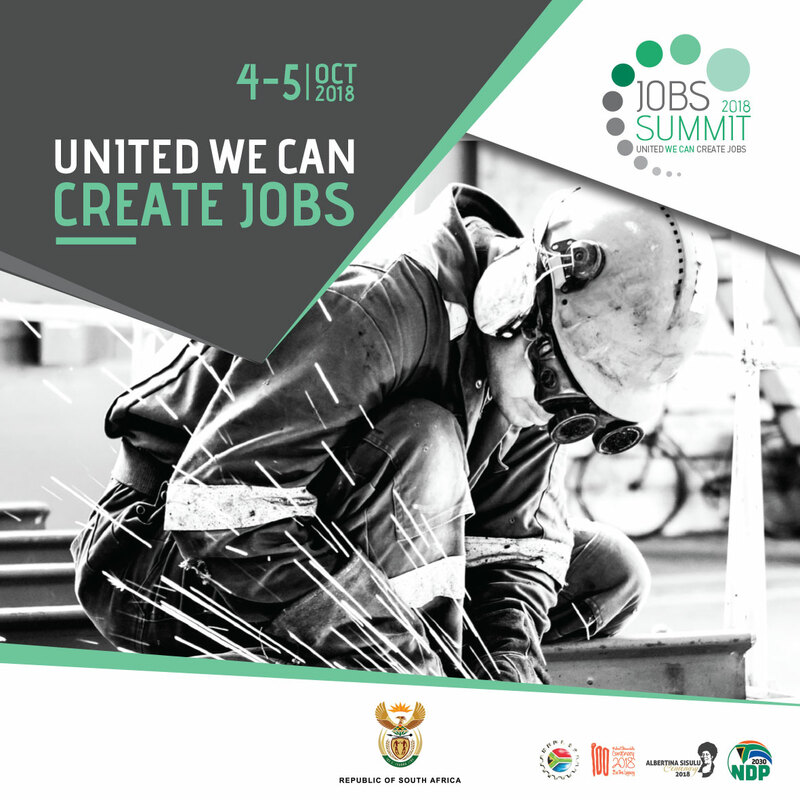 The Jobs Summit will bring together government, business, labour and community organisations to advance job creation. It will provide a platform for open discussion on the challenges faced by each social partner in the creation of jobs. The dire jobs situation is reflected in the Quarterly Labour Force Survey released by Statistics South Africa for the first quarter of 2018. It shows that despite growth in employment of 206 000 jobs during the quarter, the rate of unemployment was 26.7 per cent. Furthermore, the unemployment rate of young people at 52.4 per cent and an absorption rate of only 12.2 per cent.